Katherine Arnup. Education for Motherhood: Advice for Mothers in Twentieth-Century Canada. Toronto: University of Toronto Press, 1994. Pp.251. Wilson, Ceilia. 1995. “Katherine Arnup. Education for Motherhood: Advice for Mothers in Twentieth-Century Canada. Toronto: University of Toronto Press, 1994. Pp.251.”. 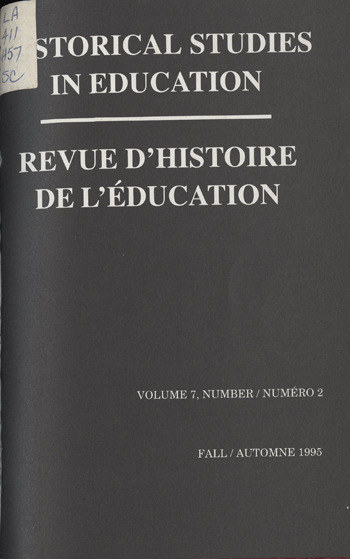 Historical Studies in Education / Revue D’histoire De L’éducation 7 (2), 261-63. https://historicalstudiesineducation.ca/index.php/edu_hse-rhe/article/view/1400.